Sideboard with 3 shelves in 2 sizes. 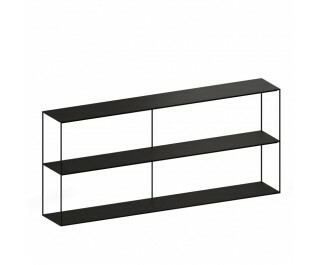 Frame in solid drawn tube 8 x 8 mm and 2 mm sheet steel shelves, epoxy painted copper black or semiopaque white. Usable space between shelves is 40 cm.